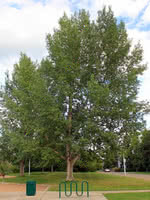 Griffin Poplar is a tall, fast-growing, deciduous tree. 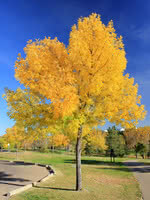 One of the oldest prairie hardy varieties developed at the Brooks Research Centre, Griffin Poplar is a great shelterbelt tree. 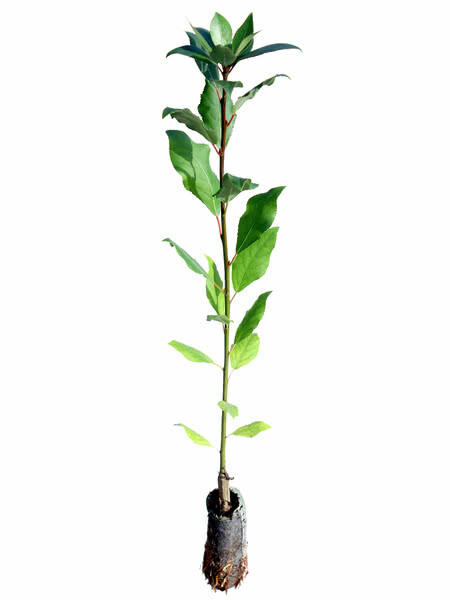 It is adaptable in many soil conditions. Too large for a normal city lot, Griffin Poplar is also ideal for large properties and parks. Greenhouse grown rooted cuttings. True to type and vigorous. Sorted for size and form. This variety is a fluffless male clone.